t*rexes and tiaras: Friday Favourites 101: ASOS sale picks.. This week, despite their recent warehouse fire, the ASOS sale launched, which for me always means it's time for a browse. Here are the three things which will be making their way to me very soon indeed..
001: I seem to be behind the times with this trend. I've not yet succumbed to the "co-ord". In part, this is down to the fact that they look to have a tendency to show more flesh than I would ever be comfortable with. But that's where I think this one might be on to a winner - as well as the cute beetle print, this two piece comes with press studs so that you can attach the skirt to the top and make a dress. Cute, no? 002: Ermuhgod. 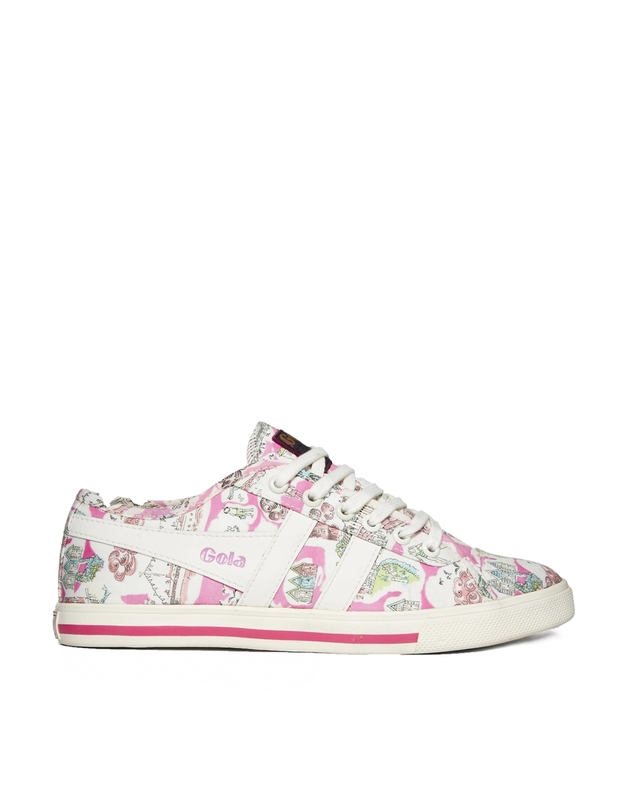 I was so excited when I first saw these Gola / Liberty print trainers about. This fabric is the same as the one I used to make what is basically one of my favourite Emery dresses thus far. OK, so on the one hand I don't really wear trainers, like ever, but on the other...how cool would it be to match my trainers to my favourite dress? I'm so torn. 003: I love a bit of sequin and I love a good clutch bag, so I'm sure it comes as no surprise that I have my eye on this sequin clutch. 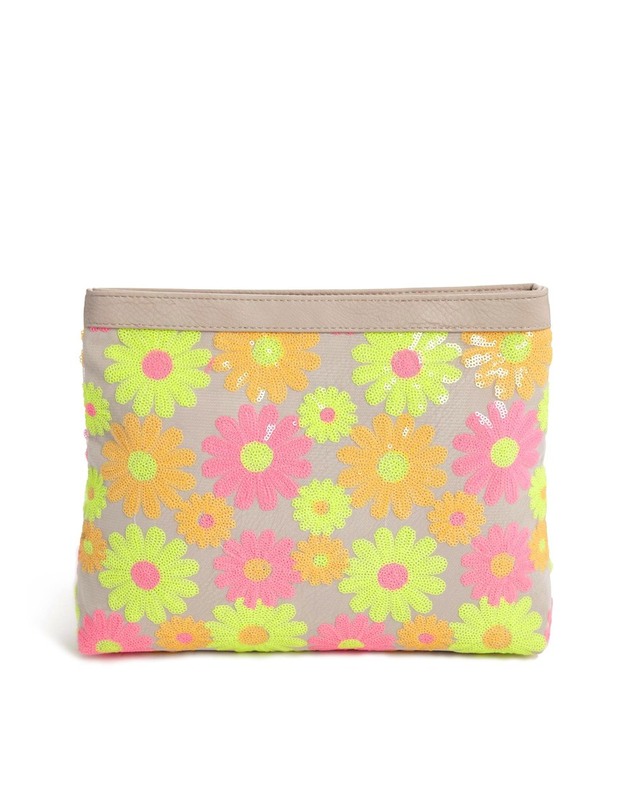 Cute bright neon flowers - the perfect eye-catching finishing touch to any outfit, I think. Have you seen anything in the ASOS sale which has caught your eye? I totally want that co-ord! Would love to know if you got it. Some very cute picks Char. The bags my favourite. me too, the fabric has well and truly won me over! Those trainers are gorge - I don't really wear trainers either but I could probably make an exception for them. I love the bag too. Sadly I'm watching the pennies so I'm just steering completely clear of the ASOS sale this time! I know, I think i need them even though I barely wear trainers! And, imagine how fab (lame) it would be to wear them both together!